I am slightly saddened today knowing that I won’t be seeing the smiling faces I’ve had the opportunity to get to know over the past several weeks. 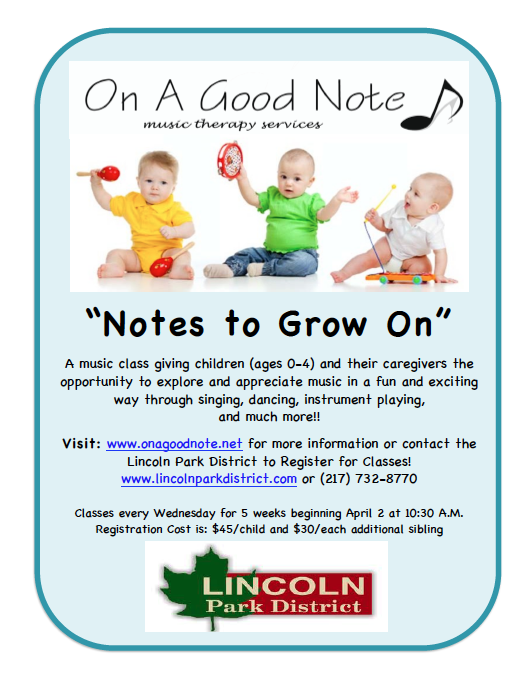 Every Wednesday through the month of April, I hosted a music class for children ages 0-4 and their caregivers. I was thrilled to see the growth that happened over those five weeks and will miss seeing those kiddos every Wednesday! Check out the video I recorded last week to warp-up the experience. I hope you can join us for out next series of classes! Sign up for our newsletter to receive information about dates and registration!